This method is fitted using individual strands attached using keratin resin to create a small seal, keratin resin are the strongest and safest bonds to use this method is very popular ,it is very versatile, you can go swimming, dancing,gym etc your bonds won't limit your daily activities, shampoo and style as usual, straighten or curl your hair taking care to keep direct heat away from your bonds. 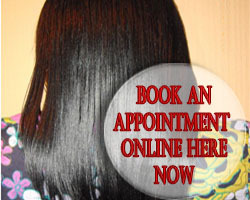 Pre-bonds gives you natural gorgeous hair, a maintenance is recommend every 4-6 weeks. Removal is simple and straight forward, a removal gel is apply which gentle dissolves the bonds. This method will last for approx 4 to 6 months. 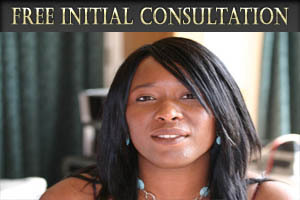 A lace front wig is attach with adhesive or double side tape that is safe for the skin and disappears in the lace front. The lace front wig creates a natural look that looks like the hair is growing out of the scalp. Lace front wigs are all the craze ,change your look completely with these if you need a colour change without processing your own hair,go for full lace or blend a lace front top piece with wefts the choice is yours. This method will last for approx 3 months. Net weaving uses a net it's useful for thin hair or alopecia, a net is used to create a foundation on which the hair is then sewn, the net helps the foundation to stay strong ensuring your extensions last longer with continuous shampooing. This method will last for approx 3 months. Micro Rings are undetectable, silicone rings are applied to your own hair,this is a cold method which uses no glues, heat or chemicals of any sort and provides a comfortable cushion for hair. These can last up to 3 months . 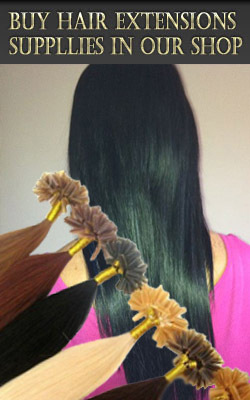 With micro ring extensions, you can wash, blow-dry and style your hair as you normally would. 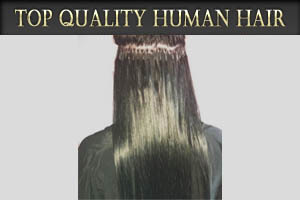 Micro Rings can be used for partial or full head. This method will last for approx 4 to 6 months. The foundation is created with a thread and needle technique, your hairline can be left out to gives more flexibility with styling as far as putting your hair up into an undo style or a high ponytail without any visible extensions, as with most hair extension technique a fringe is essential if you choose not to have your natural hairline free for blending into the extensions, this method is suitable for full or partial weave, depending on how fast your natural hair grows. This method will last for approx 2 to 3 months.